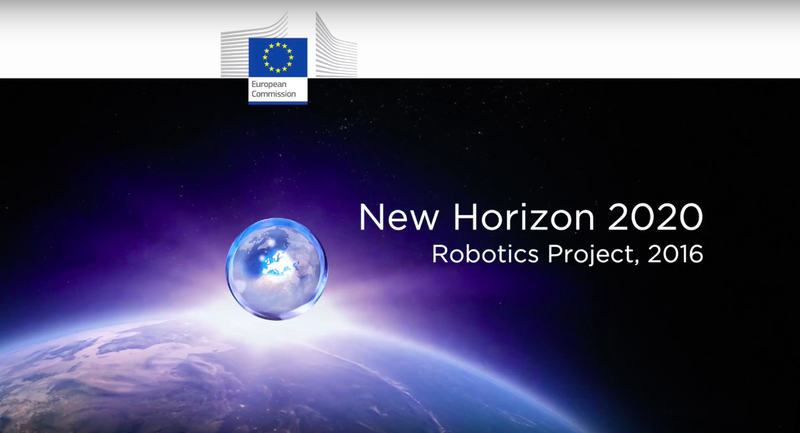 EuRobotics regularly publishes video interviews with projects, so that you can find out more about their activities. You can also see many of these projects at the upcoming European Robotics Forum (ERF) in Tampere Finland March 13-15. This week features ROSIN: ROS-Industrial quality-assured robot software. Make ROS-Industrial the open-source industrial standard for intelligent industrial robots, and put Europe in a leading position within this global initiative. improving the availability of high-quality components, through Focused Technical Projects and software quality assurance. increasing the community size, until ROS becomes self-sustaining as an industrial standard, through an education program and dissemination. ROSIN will propel the open-source robot software project ROS-Industrial beyond the critical mass required for further autonomous growth. As a result, it will become a widely adopted standard for industrial intelligent robot software components, e.g. for 3D perception and motion planning. System integrators, software companies, and robot producers will use the open-source framework and the rich choice in libraries to build their own closed-source derivatives which they will sell and for which they will provide support to industrial customers.